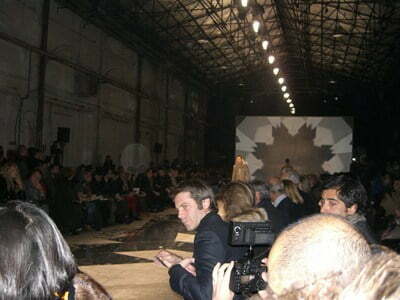 Pitti Immagine and Caruso graciously co-sponsored my wife and my trip to the Florence Pitti Immagine international men’s fashion shows and to the Fashion Week in Milan, Italy. Update! 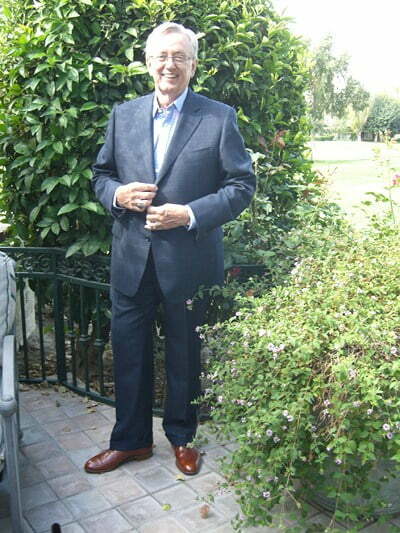 – See the shoes and Caruso Suit and Sport Jacket – see the bottom of this page! 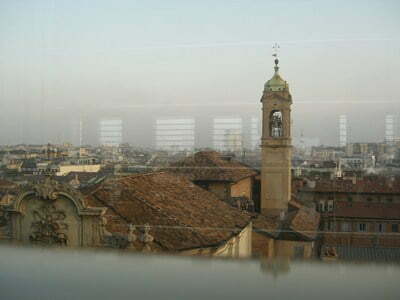 We arrived in Florence (Firenze) Italy after what seemed like three days on several flights. 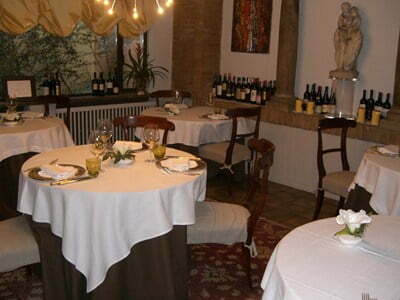 Our hotel, Santa Maria Novella, was perfectly located within walking distance of the Pitti Immagine show and the Duomo. 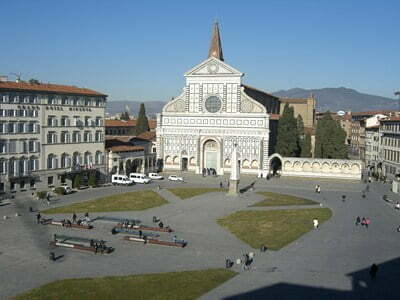 Right on the Santa Maria Novella church square. 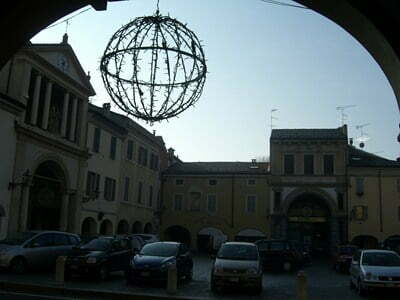 This was the view from our hotel window. We walked around and then met our hosts Alessandra Alla, head of communication for Caruso, and Umberto Angeloni, co-owner of Caruso, at the fabulous St. Regis hotel for dinner. 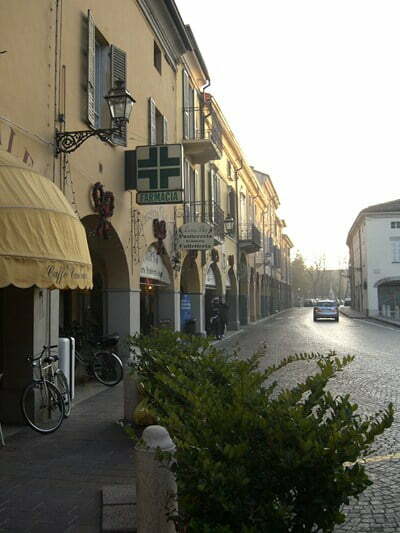 The Entrance to Pitti Immagine Uomo, Fortezza da Basso. It just looks cold! 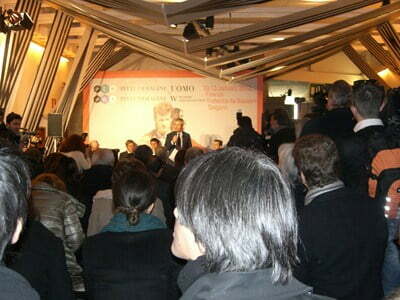 The first day of Pitti Immagine Alessandra got our Press Passes and we attended the opening presentation with dignitaries including the Mayor of Firenze. And then there was sparkling wine for all! 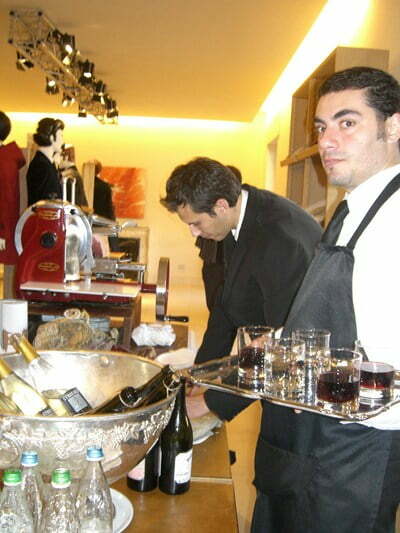 The Press Passes gave us total access to the show, the press area with free flowing espresso, and included a lavish buffet everyday with as much wine as you wanted! Should have taken some photos of that! How does the press do it? 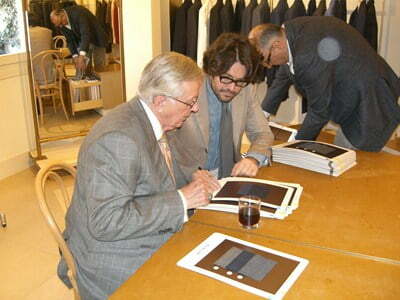 Got to meet Raffaello Napoleone (Pitti’s CEO) but he was too busy to stand still for a photo! 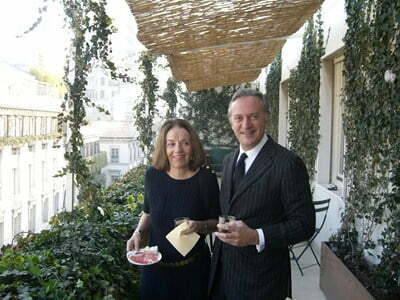 And we sat with Sibilla della Gherardesca, Pitti Immage, PR consultant at lunch one day. 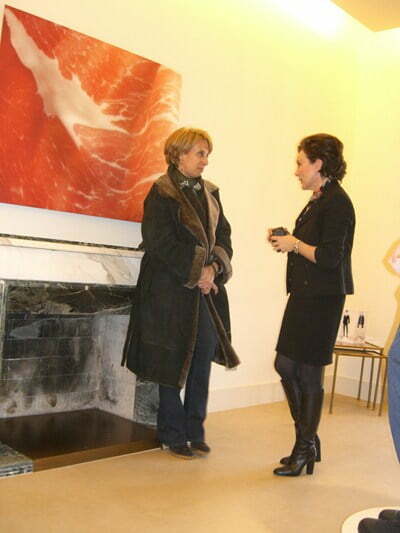 It was surprising who was there! 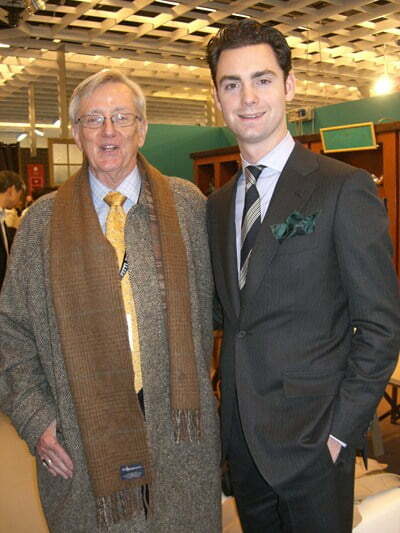 Met Tim Mureau, an author and European clothing rep who introduced me to half the vendors at Pitti! 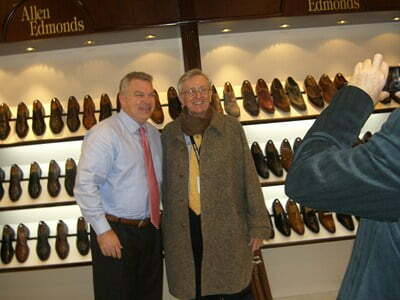 Kirby and I had planned to meet at the Edward Green booth where I talked to Hillary for a while and then Matthew measured me for a pair ofNewburys in Burnt Pine! 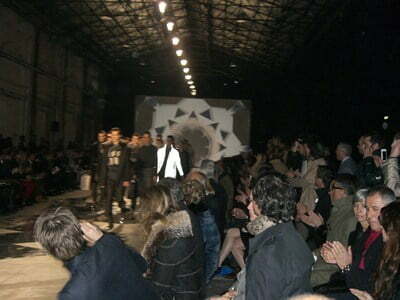 A Hardy Amies fashion show at the Stazione Leopolda. In the front row William Fung of Li & Fung from Hong Kong, owner the brand Hardy Amies, some members of the Ferragamo family, many VIPs; we were in the second row. Of course we introduced ourselves. 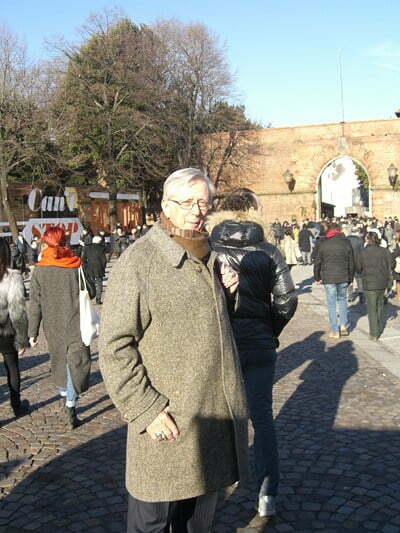 In the photo above is the prince Emanuele Filiberto di Savoia grandson of the previous King of Italy who sat at our table for the dinner following at the incredible Palazzo Borghese. 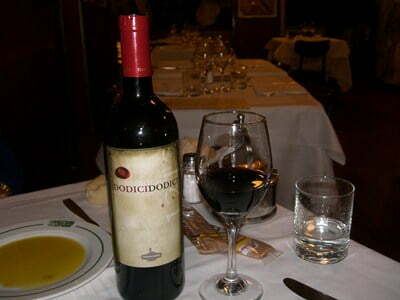 Also at our table at dinner was the British Ambassador and the British Consul, and Leonardo Ferragamo’s son Paolo. 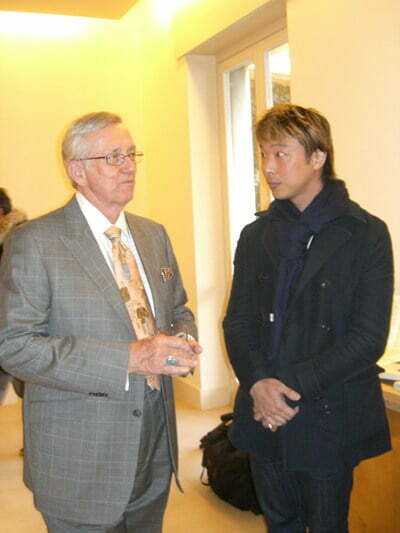 And there was a British Prince from Kent in the room! 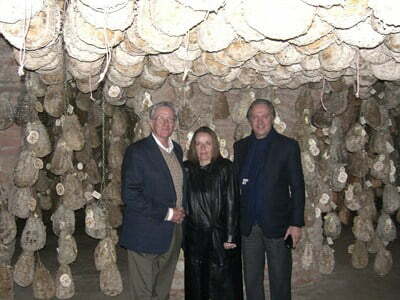 Two days at Pitti and then we were off to visit the Caruso Factory in Soragna, Parma home of the Culatello, the best part of the Parma Ham, and Parmigiano-Reggiano cheese. 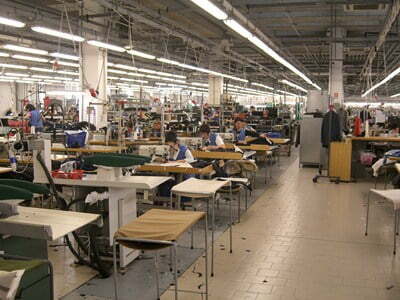 The factory is huge! 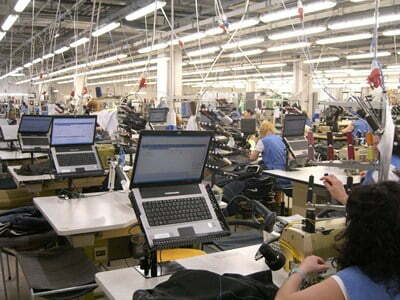 It has 600 employees in three buildings. 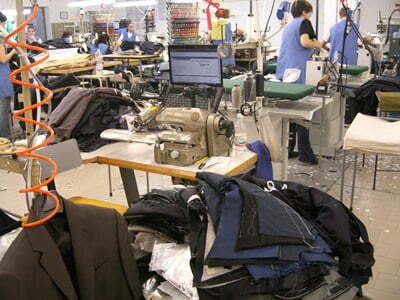 One building for the production of suits and jackets, one for trousers and one for fabric cutting. Note the computers! 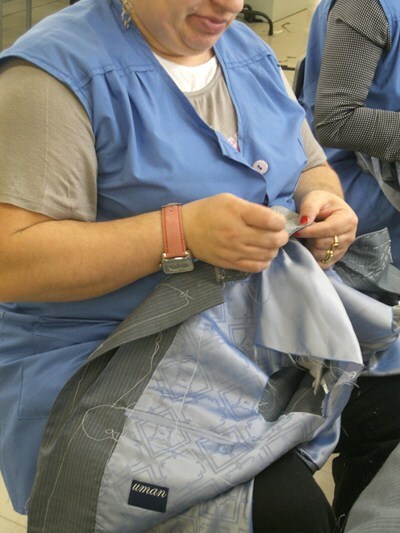 And lots of hand work for the 2,000 different models manufactured there each season! 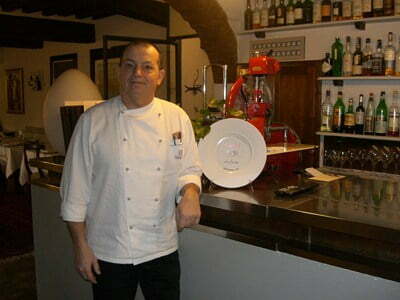 This is Alberto Caruso (son of founder Raffaele Caruso) and part owner of the company. 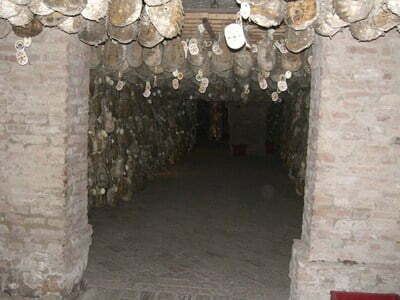 Lunch at the Antica Corte Pallavicina a great restaurant and hotel right on the banks of the Po river where they, in the basement, cure thousands of Culatello hanging from the ceiling and Parmigiano-Reggiano cheese! 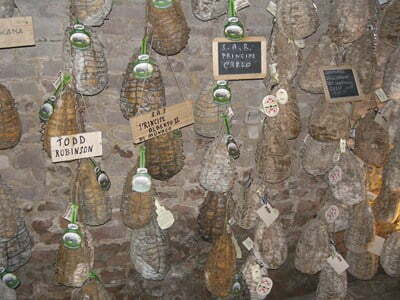 Had a great lunch tasting the different aged hams and cheeses. 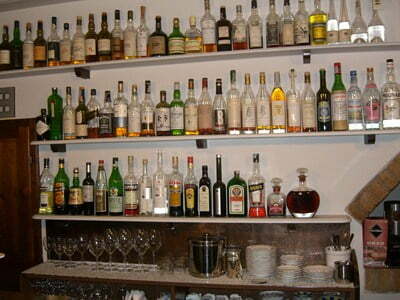 Can’t have ham and cheese without a few drinks! 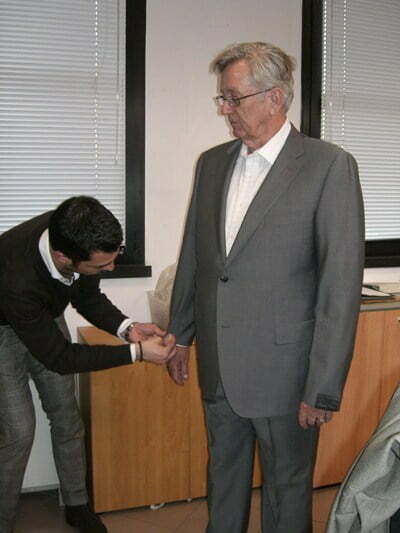 Getting fitted for a Caruso suit! 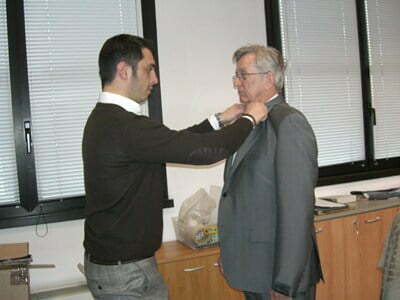 The tailor is Luca Talarico (fifth generation custom tailor). 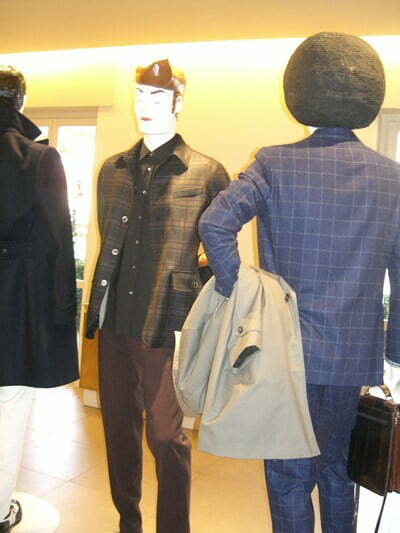 My hair must look like that from all the ham, Parmigiano-Reggiano cheese, and wine at lunch! 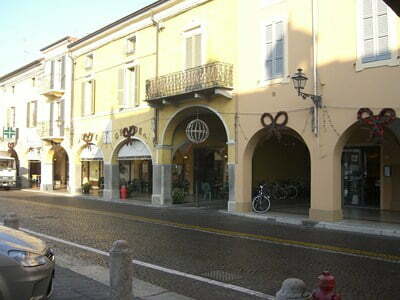 Our hotel in Soragna, Stella de Ora. 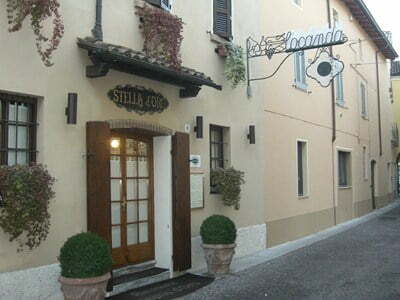 The restaurant here won the best wine list in Italy for 2011! Lucky us! 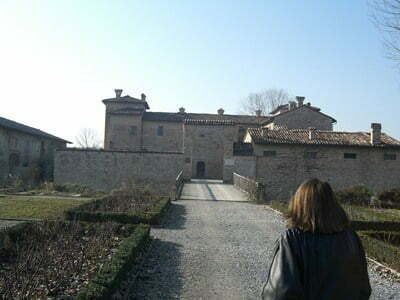 The next morning before going on to Milano we walked around and went through the castle of Soragna. 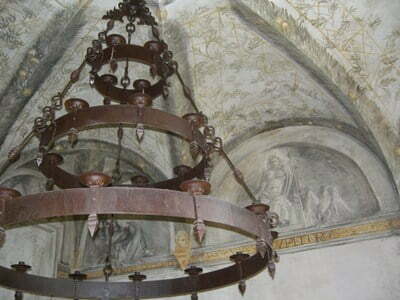 The first fort was built on the site in 1385 but the current castle is grand with paintings and frescoes by Cesare Baglione, landscapes by Brescianino, a magnificent staircase designed by Draghi, and the Chapel of Santa Croce, built at the beginning of the 17th century. 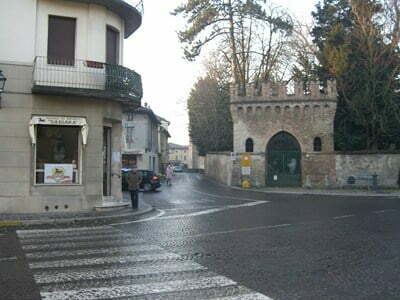 The Italian Prince, Diofebo Meli Lupi still lives there. Our driver and the Chef packs the car! 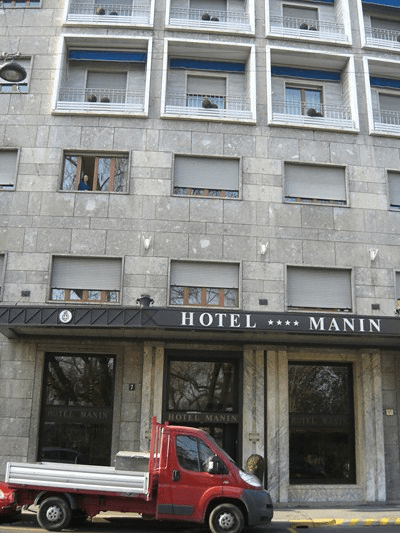 Our hotel in Milano, the Manin, was in a perfect location to walk to the “Rodeo Drive” of Milano, the “Quadrilatero d’Oro”, and all the events. 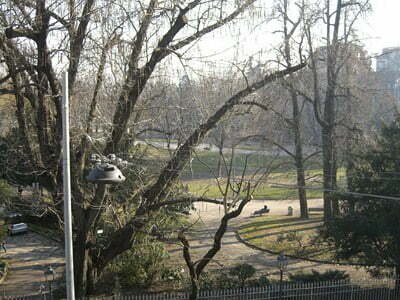 The view from the window was of a large park. 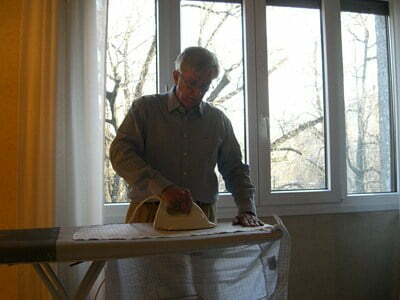 And the best feature is they had an iron and board! 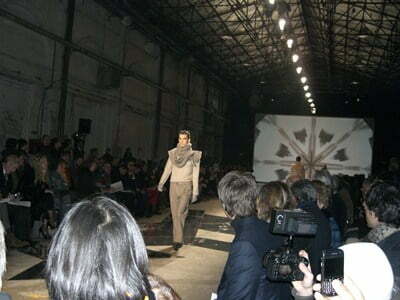 The first big event was the Uman presentation in the Concept Room in via Gesù. 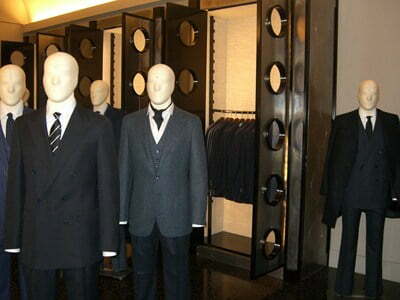 Uman is Umberto Angeloni’s line of personal designed suits for style connoisseurs. 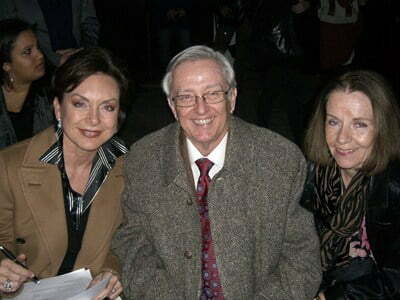 Every reporter in the world was there at one time or other during the evening. 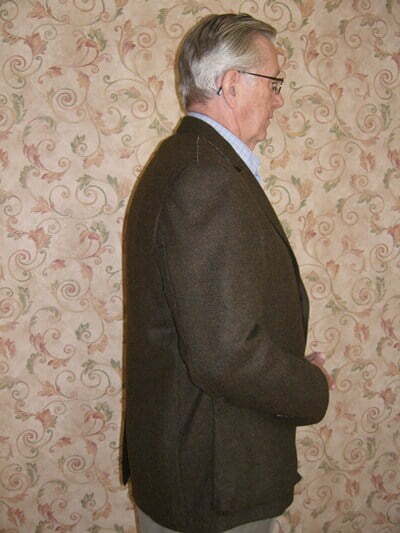 The “wallpaper” is the unique design for the lining of Uman jackets. 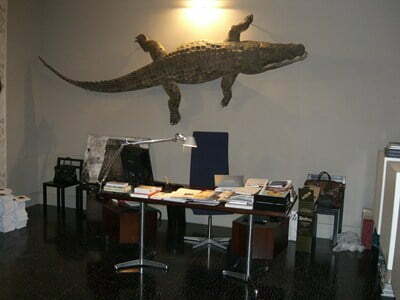 Umberto’s office with crocodile courtesy of his “sportsman” son Marco, who works with him at Caruso. 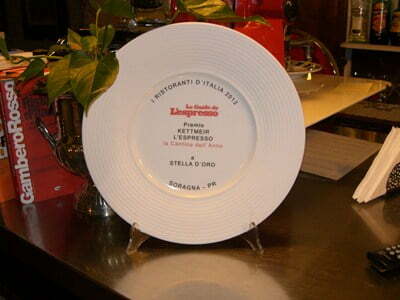 After an evening of great hors d’oeuvres and the “Uman” – a drink that’s even on the Four Season’s Hotel menu, we were off to a little trattoria The Paper Moon. 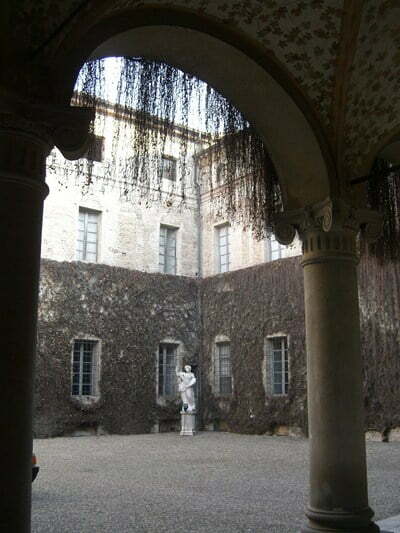 (Recommended by Alessandra). In between events was great for shopping, and finding wonderful places for a cocktail. 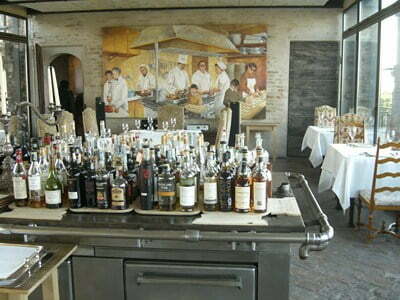 Like the exquisite Grand Hotel et de Milan, and the new Armani Hotel bar (this is a view from the bar). 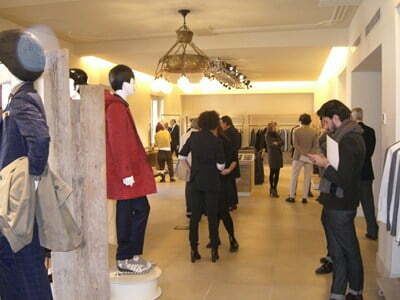 Next big event was held in the Caruso showroom. 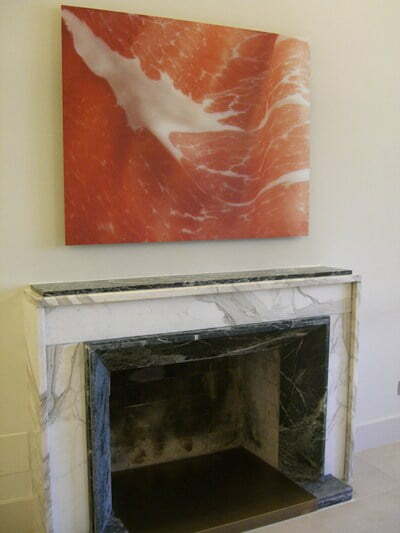 Above the fireplace, a picture of the famous Culatello by photographer Gianni Pezzani. 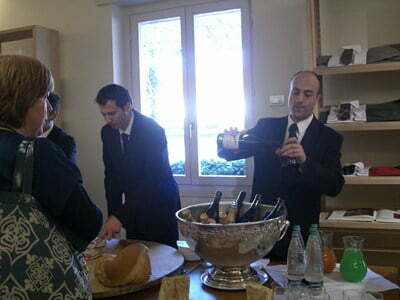 And what are they serving (besides the wine and prosecco) – Culatello and Parmigiano-Reggiano cheese! 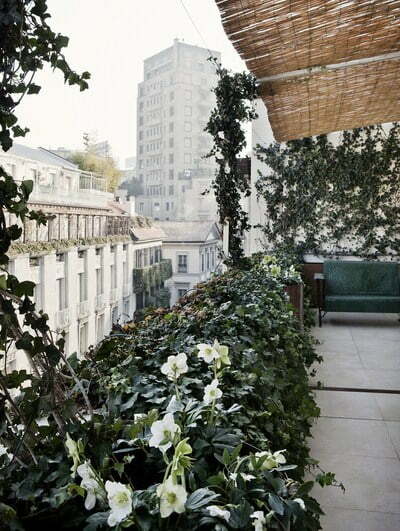 The Terrace of the Caruso Showroom where Alessandra tries to grow strawberries! 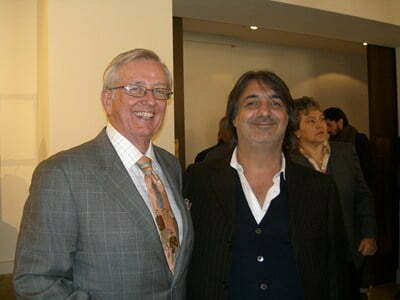 Alberto Caruso and me. 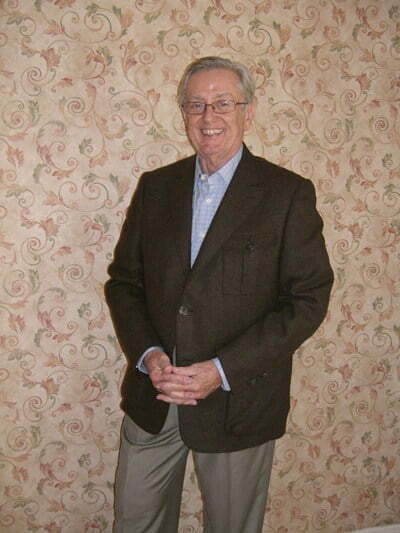 Note my Apparel Arts necktie. Practicing my Japanese (and from his expression I think he understands perfectly!). 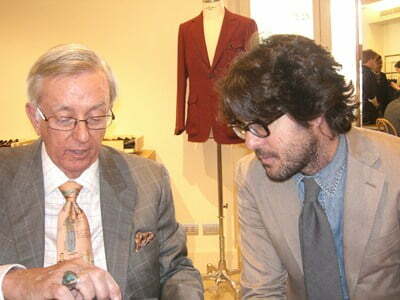 Choosing my suit fabric. 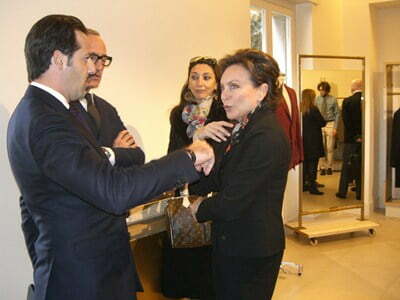 The Caruso fabric expert is Marco Giorna (formerly head of design for mills: Colombo, Tallia, Guabello and Cerruti). 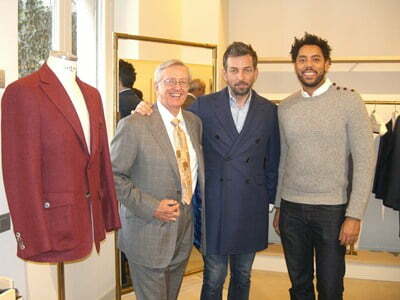 The Esquire men arrive! Nick Sullivan (in the middle) and Wendell Brown. It was fun to watch Nick work and he really did work. No food or wine, but went right to trying on almost every garment in the show, photographing most of them and then out and on to the next show! He did pick up on this jacket (it’s on my right above). 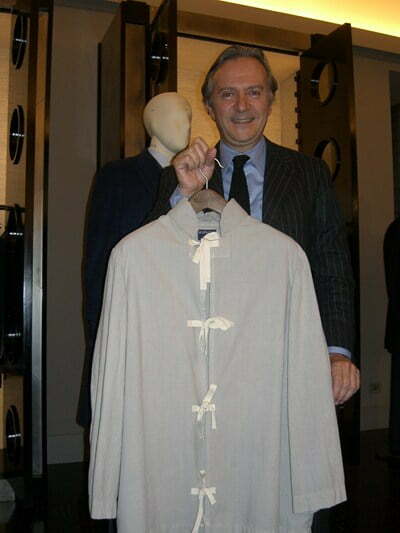 There was a old photograph of Maestro Enrico Caruso, the world famous Italian tenor,wearing a jacket like this and Caruso (no relation) redesigned and produced it. Instead of the signature red, I’m getting one in brown! 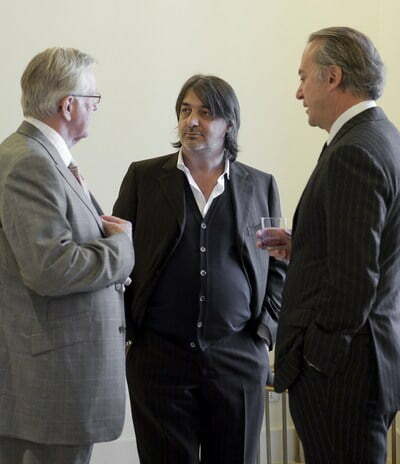 The next day, after some more shopping we were back at the Uman Concept Room where a reporter from Bloomberg, Andrew Roberts, was just finishing interviewing Umberto. 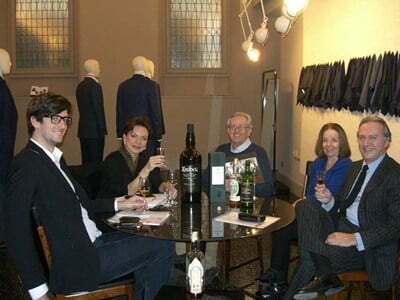 So it was time to explore Umberto’s vast Scotch collection! 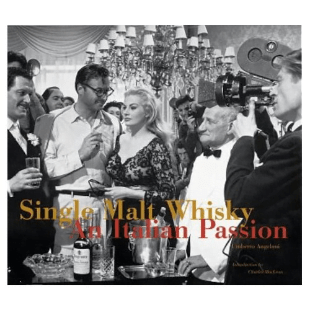 Our reference guide was, of course: Single Malt Whisky: An Italian Passion by Umberto Angeloni !! 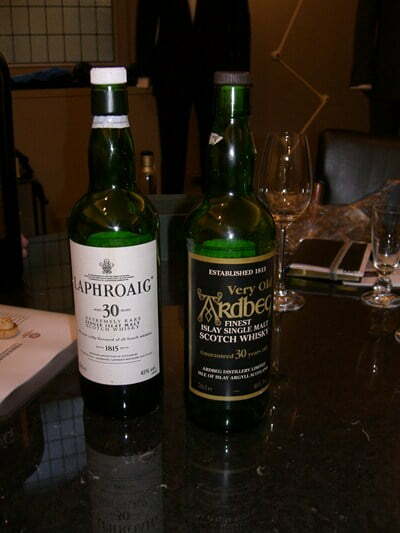 The large bottle of Ardbeg was given to Umberto by Barbra Broccoli after one of the James Bond films. 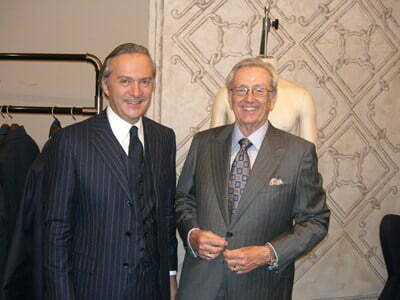 When Umberto was with Brioni they furnished the wardrobe. 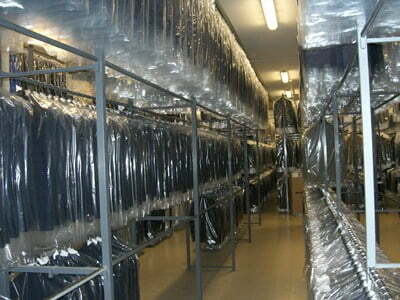 Another reason Uman is such a special line of clothing! This is the suit cover! Known to be worn as a garment at certain beach resorts! 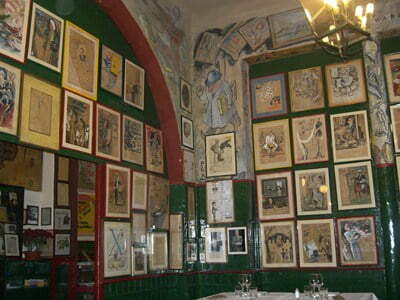 Then off to dinner. 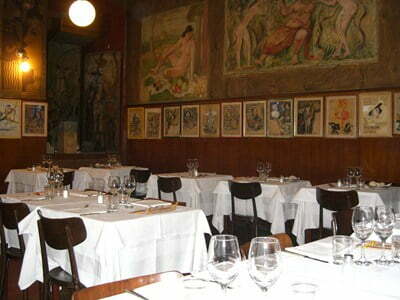 Trattoria Bagutta opened in 1924 and is famous not only for the interior, but as the home of the Italian Literary awards which were started in 1926. The Edward Green Newbury in Burnt Pine! 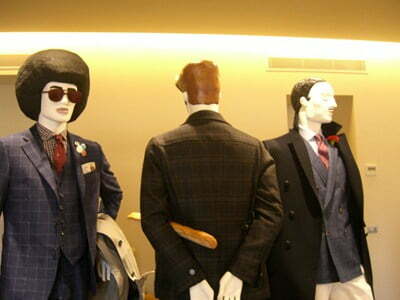 When I was at the Pitti in Florence I stopped by the Edward Green booth and had a nice talk with Hilary (as usual) and had the pleasure of meeting Matthew Allen. 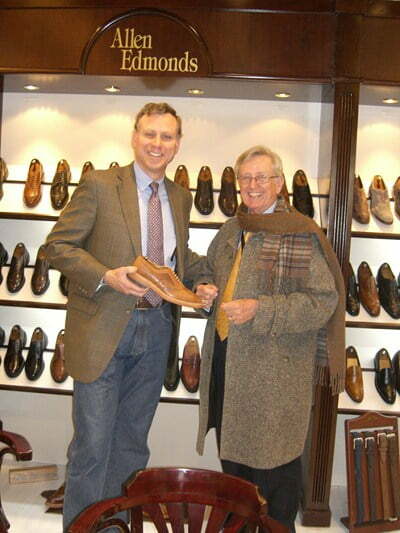 Matthew measured me for shoes and we decided on the Newbury in Burnt Pine (888 last). Got them last week and they are absolutely beautiful. 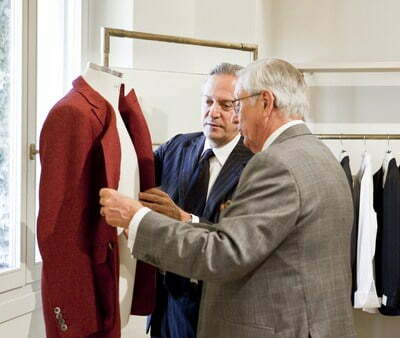 I received the Caruso suit and special sport jacket and they are the two most beautiful garments I’ve ever seen! These photos don’t do them justice. 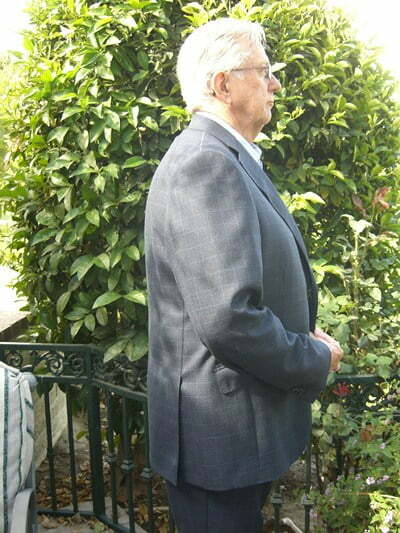 The suit is navy with a small window pane pattern (almost a large check) and the fabric is fantastic! It’s 3 ply wool. The three ply actually gives it a depth or dimension that is unique. 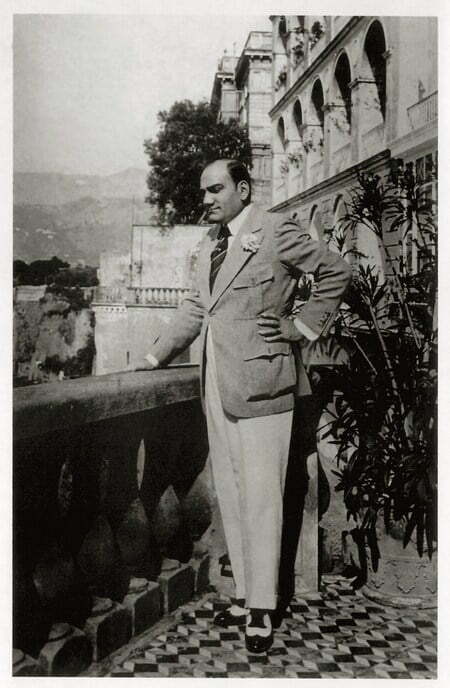 And speaking of unique – the sport jacket as you remember was copied from one that Enrico Caruso, the world famous Italian tenor, was wearing in a ca 1920 photo and Caruso (no relation) redesigned and produced it. 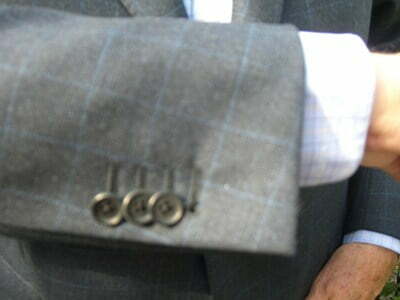 It’s spectacular in details – patch pockets with buttoned flaps, peak lapels, and great buttons (working sleeve buttons, of course). 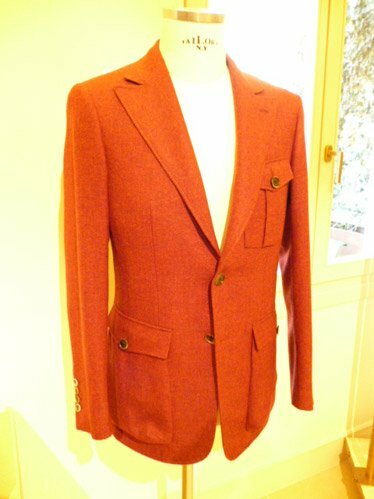 The original sport jacket they think was around 450 grams (about 15 oz) but Caruso made it from a lighter and softer fabric of 330 grams (10 to 12 oz). 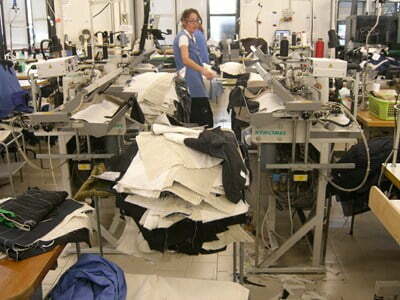 The workpersonship on both the garments is superior.